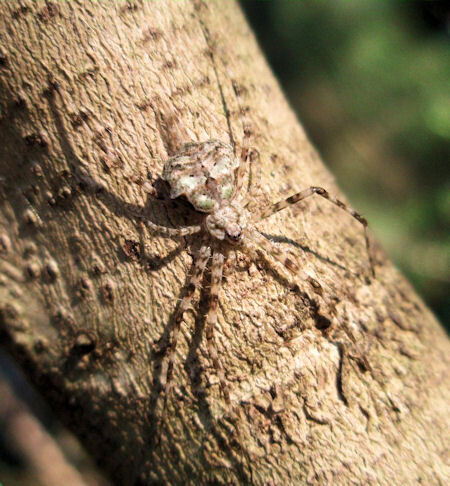 As the name suggests these 5 - 10 mm long grey-brown spiders can be found on trees, especially those with rough bark. A key-feature are the long two spinners these spiders possess. Sometimes the spinners can be as long as the abdomen. Apart from the third pair, the legs are long and they are therefore very fast runners. The abdomen is roughly heart-shaped. 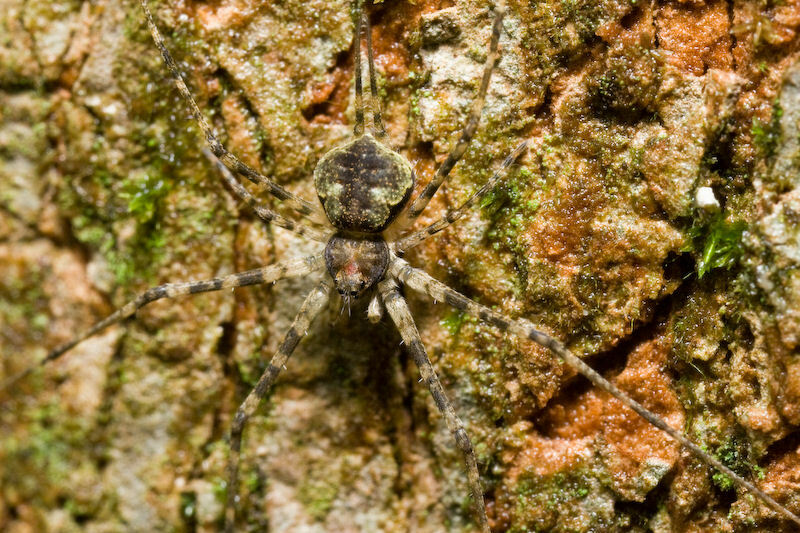 The spider is difficult to spot on the tree bark because of its excellent camouflage. They move with a rigid, jerky movement. 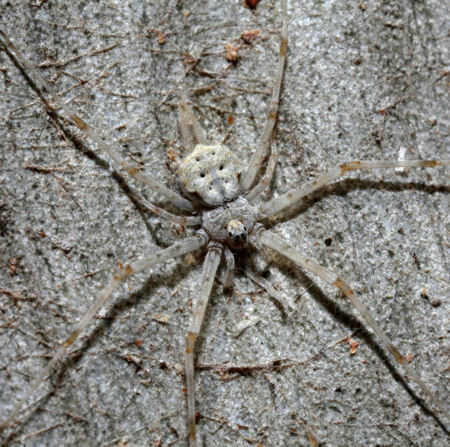 Only the “life-line” these spider leaves on the bark reflects light and give away their position. 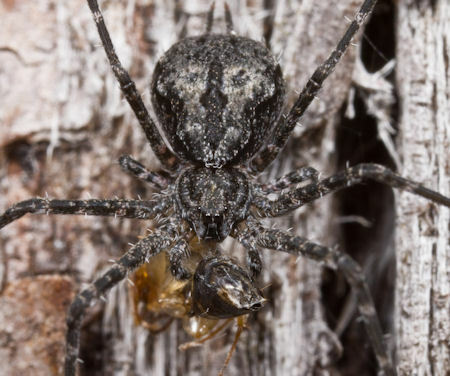 They “weave” and fix their prey with their long fast moving spinners on the bark. 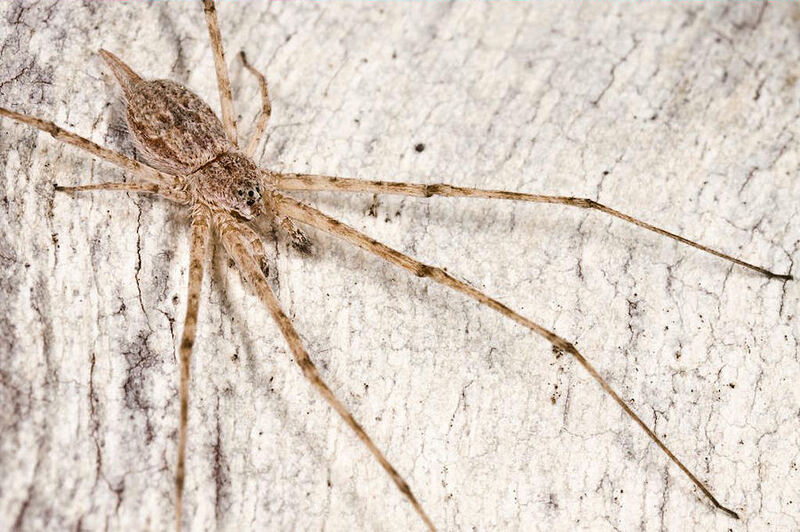 These spiders occur in the subtropics and tropic regions of the southern hemisphere. In Australia two genera with 55 species occur. They can be found on the whole continent where there are trees. Thanks guys for the pictures.